In the hectic modern world, a good cup of coffee can make the world of difference to your day. Most of us our fussy about the way we take our coffee though – especially if we’re making it ourselves. And, if you’re like me, you probably like your coffee as fresh as possible. That’s why I’ve focused this website purely on bean-to-cup coffee machines. As the name suggests, these include a bean grinder, allowing them to produce much fresher coffee than capsule machines. They are also easier to use than regular coffee machines and you can use any beans or ground coffee. You’re not limited to a specific manufacturer’s capsules. In fact, I think the only downside to this type of coffee machine is the price. They usually start at a few hundred pounds and can range over £1000 – which isn’t cheap by anyone’s book! That’s why I’ve created this site: to help you choose the best machine for your budget. 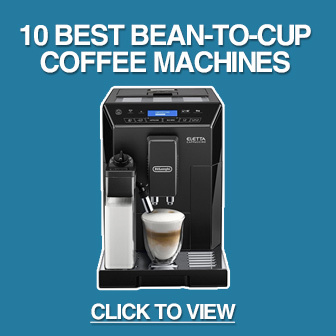 On this site, you’ll find information about the best bean-to-cup coffee machines on the market (click here for our list). I post regular reviews of the latest models, and also maintain a list of the top models at any time. You can contact me at any time using the contact page if you want to ask questions, make a suggestion or just chat about coffee. I love hearing from readers so don’t feel shy about getting in touch! Barbara is a writer, mother and shameless coffee addict from the UK. After shocking herself by working out how much money she spent on her morning Starbucks, she set out to find a coffee machine that would re-create the coffee shop experience. 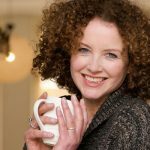 Hundreds of hours of research later, she realised others could benefit from her hard work – and BeanToCupCoffee.co.uk was born.